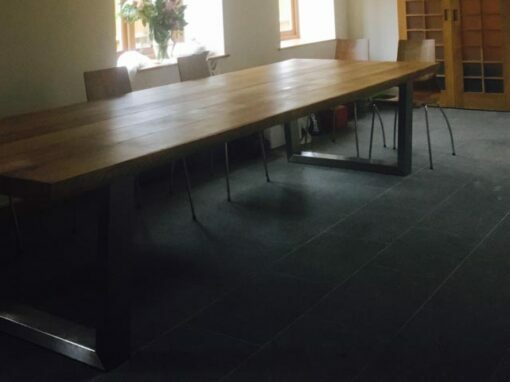 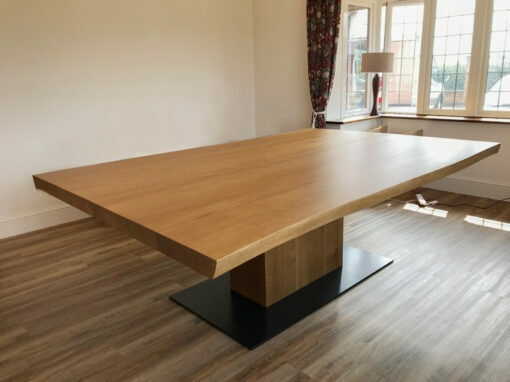 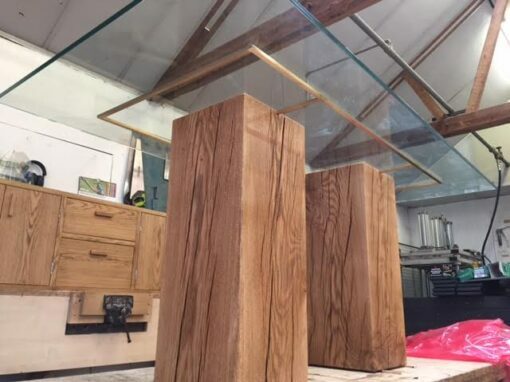 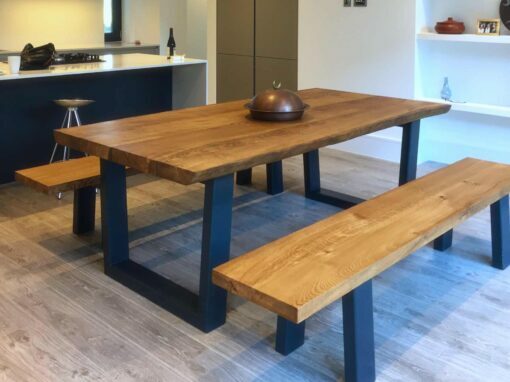 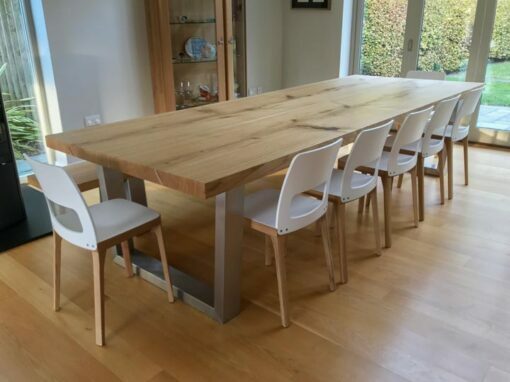 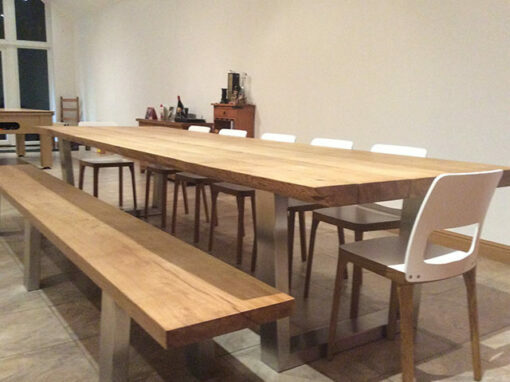 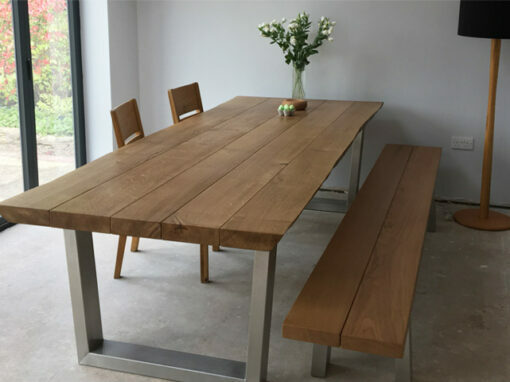 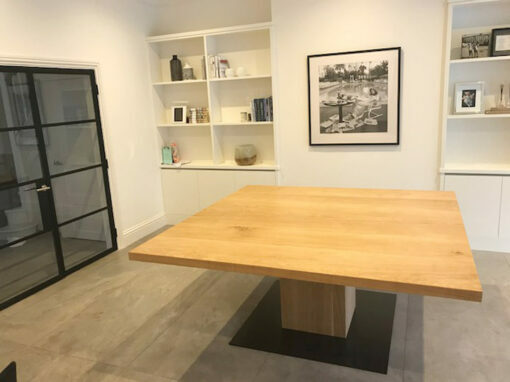 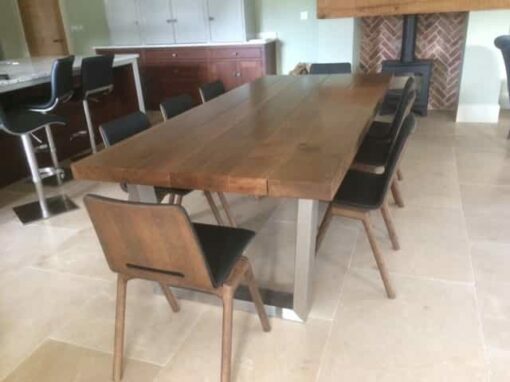 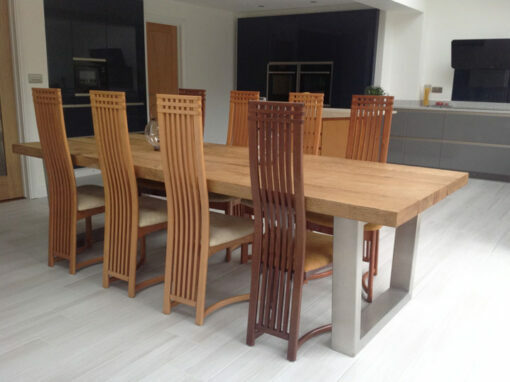 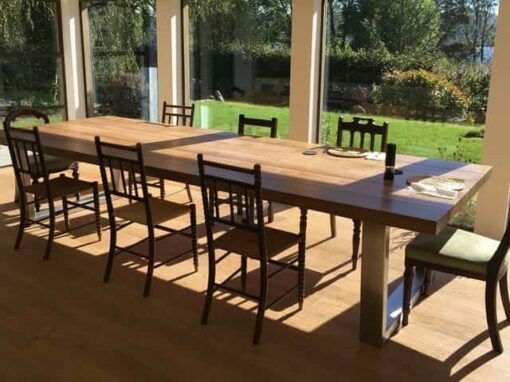 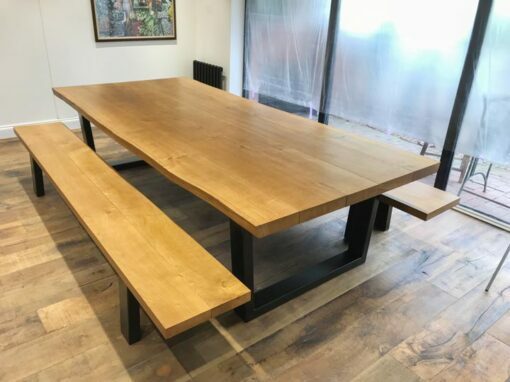 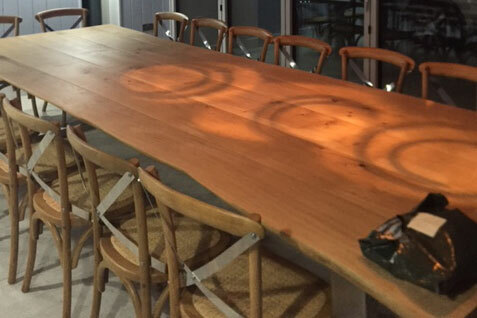 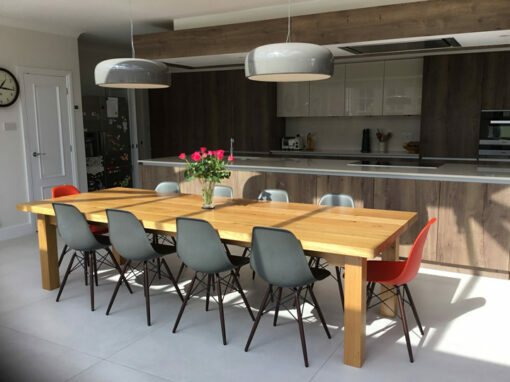 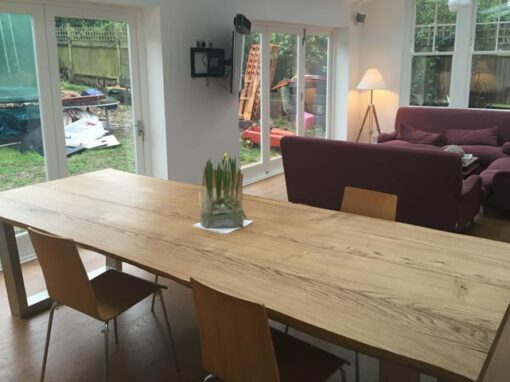 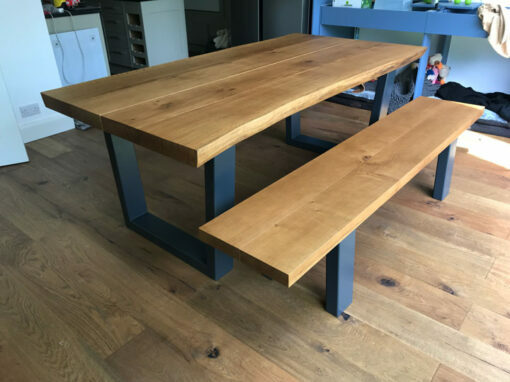 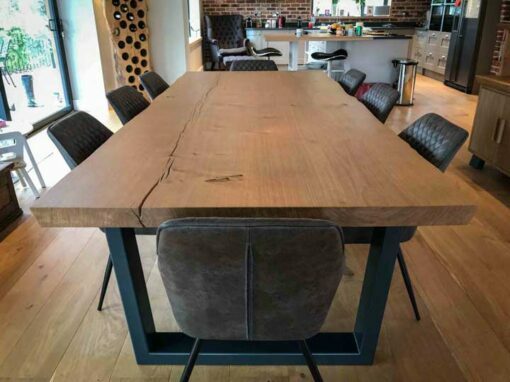 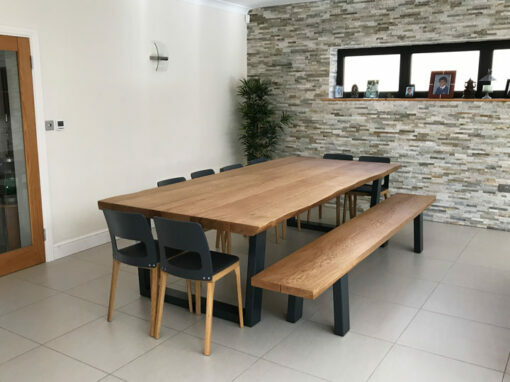 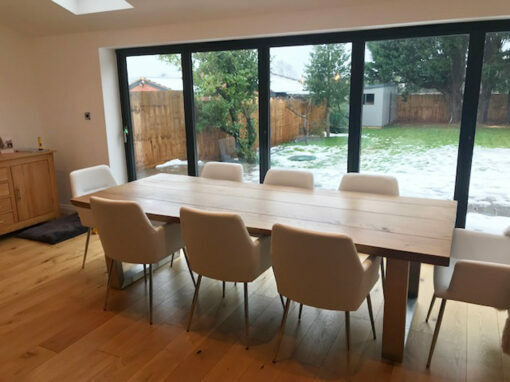 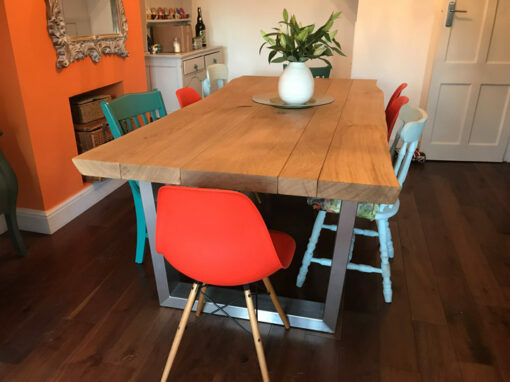 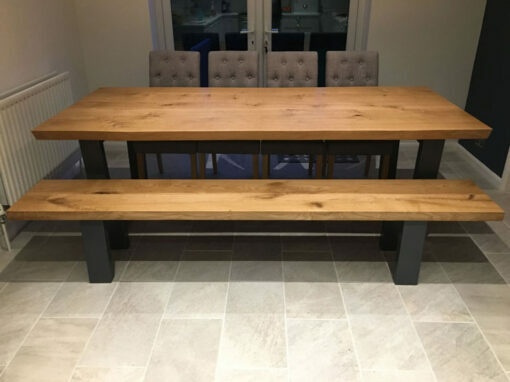 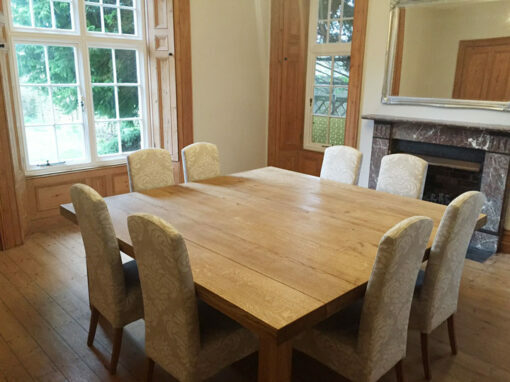 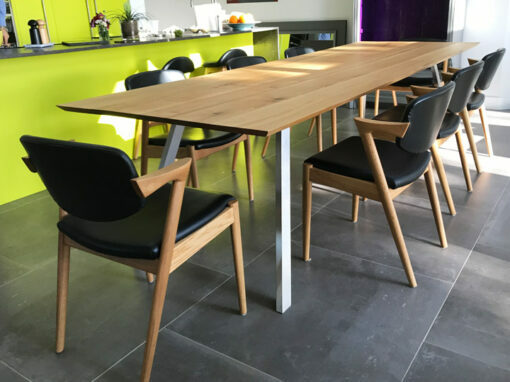 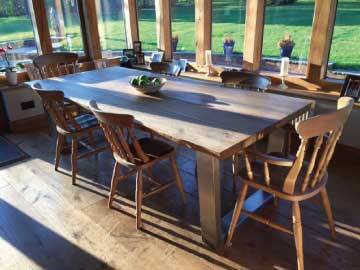 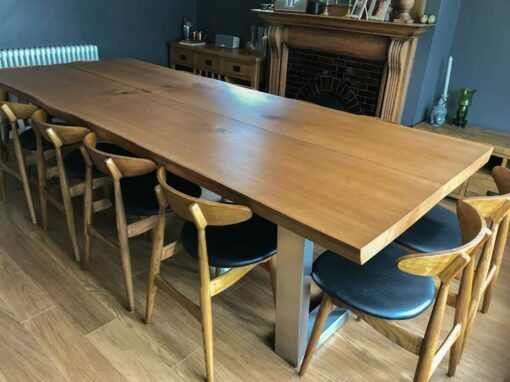 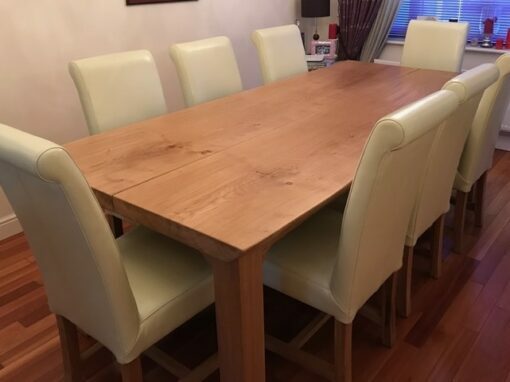 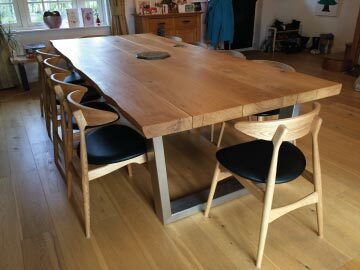 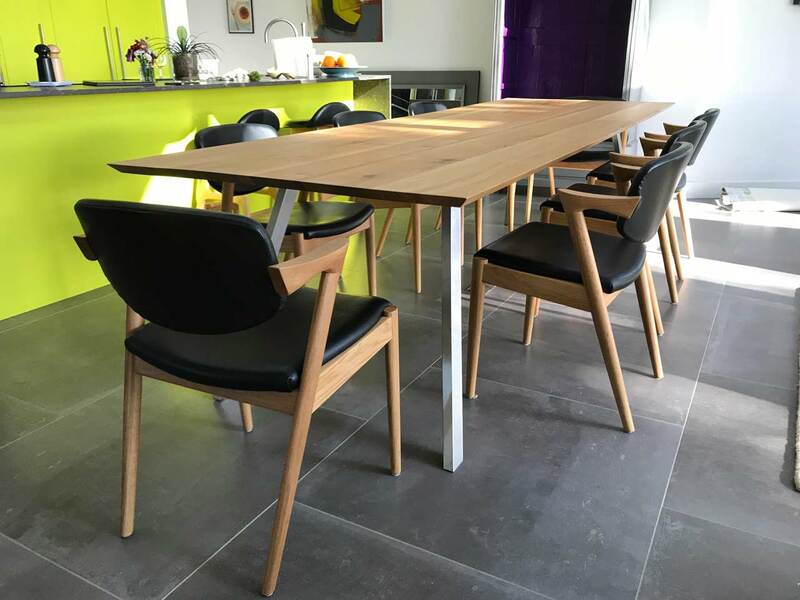 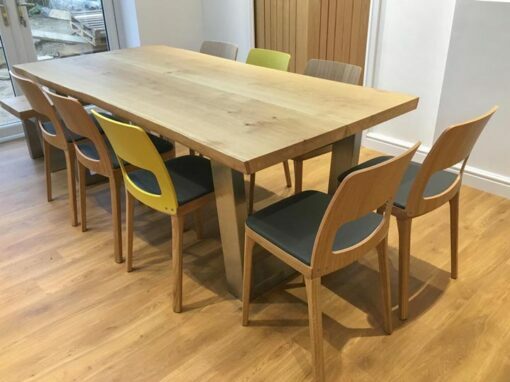 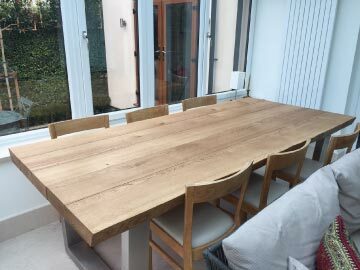 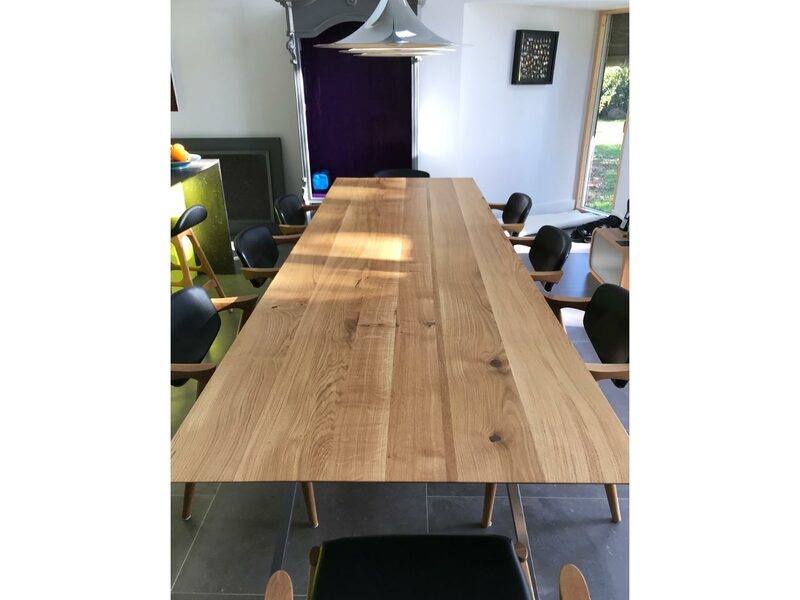 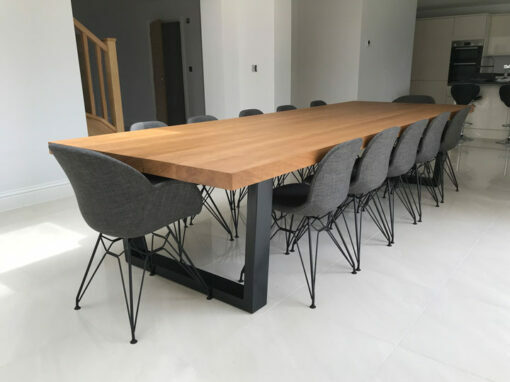 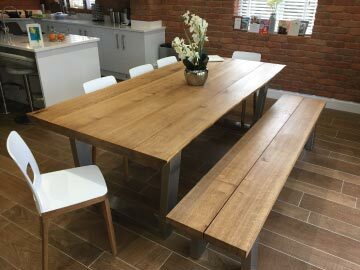 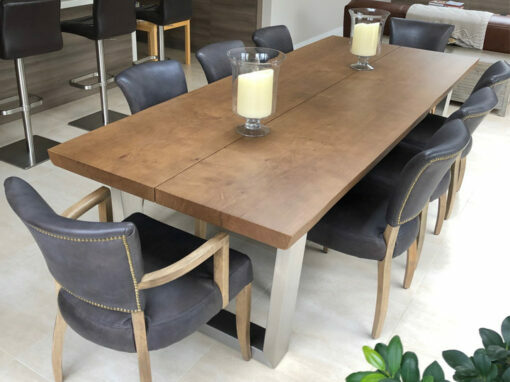 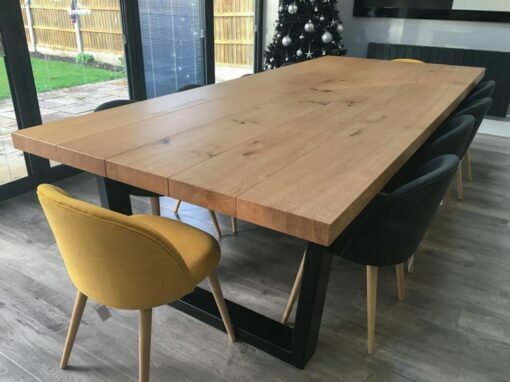 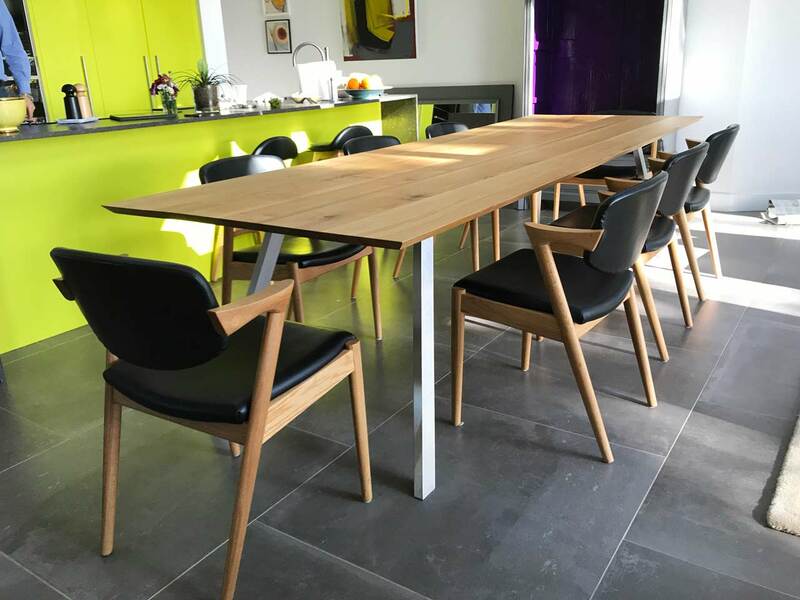 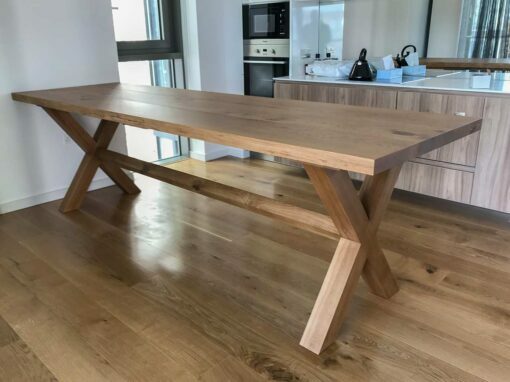 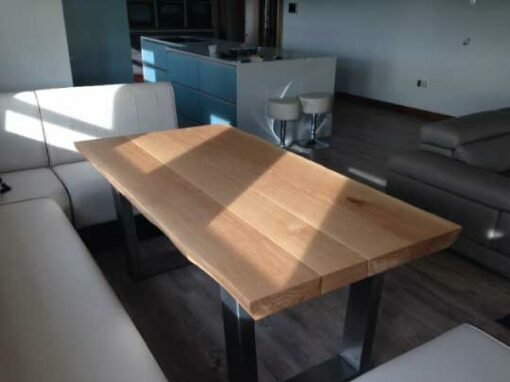 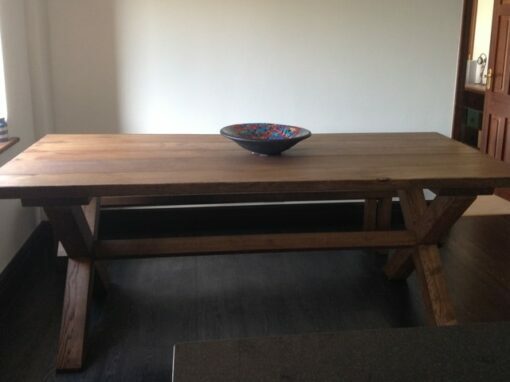 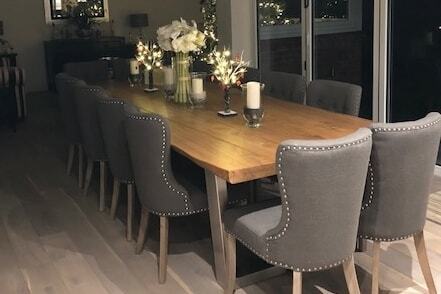 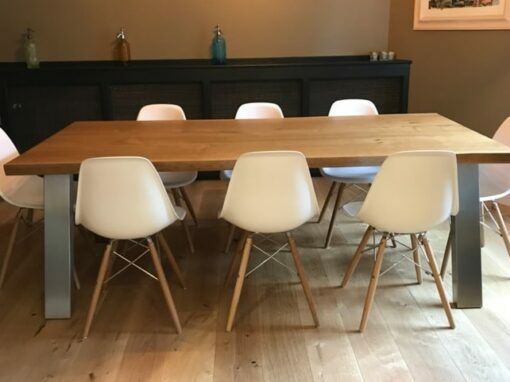 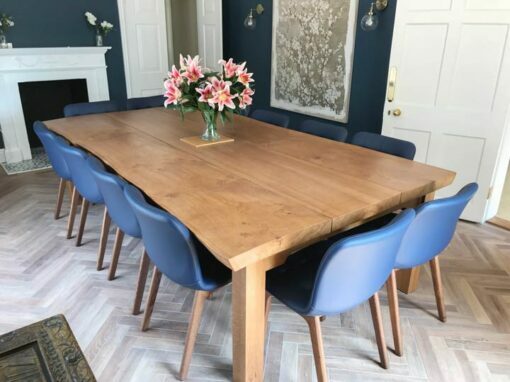 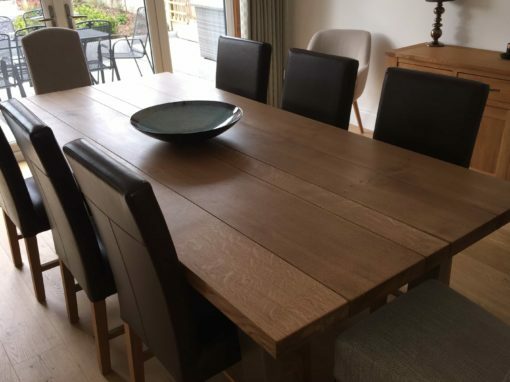 We made this large sleek table for a newly renovated open plan kitchen. 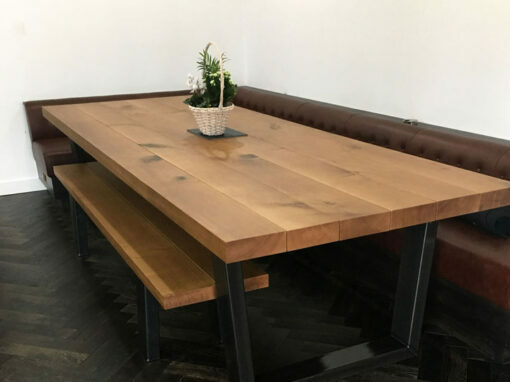 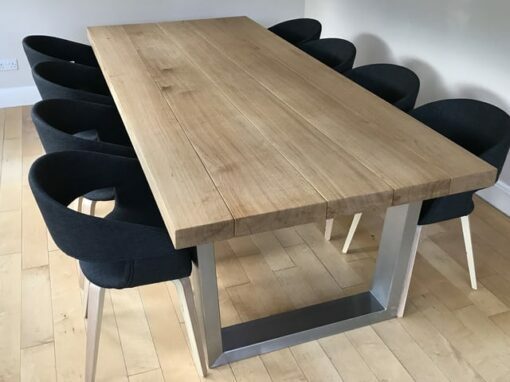 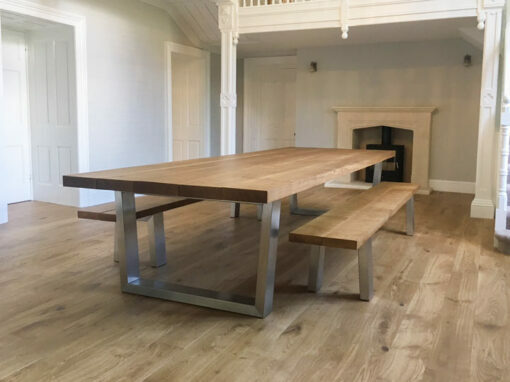 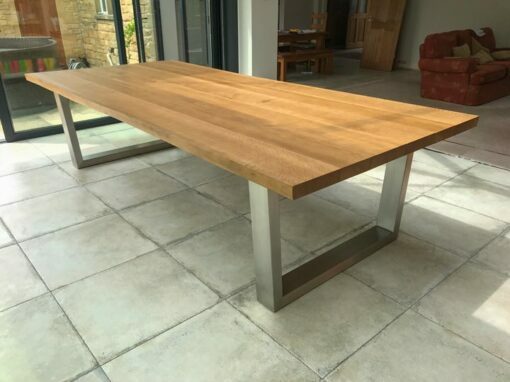 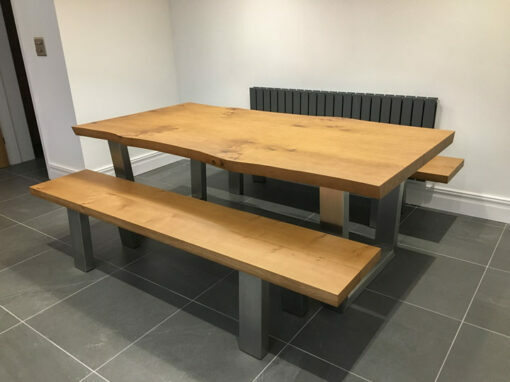 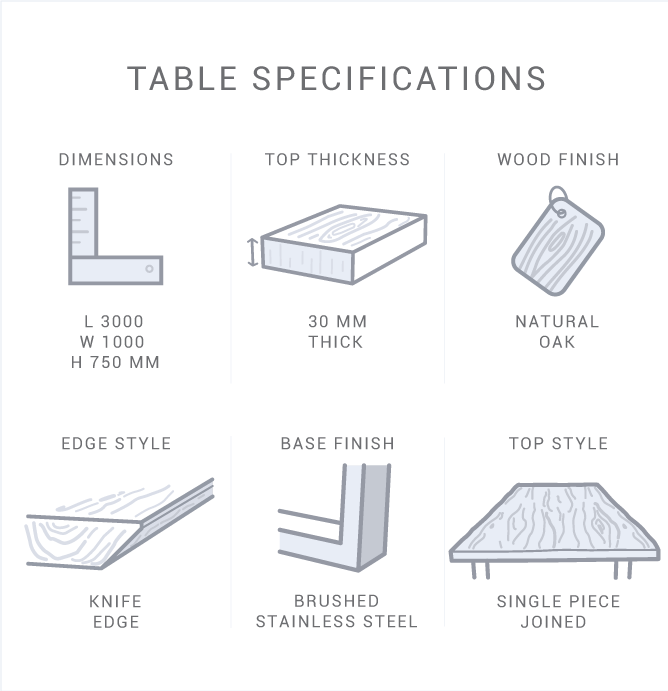 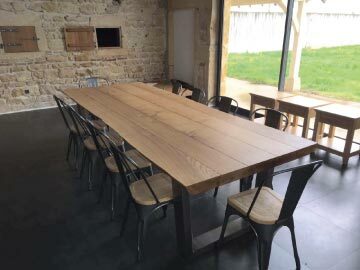 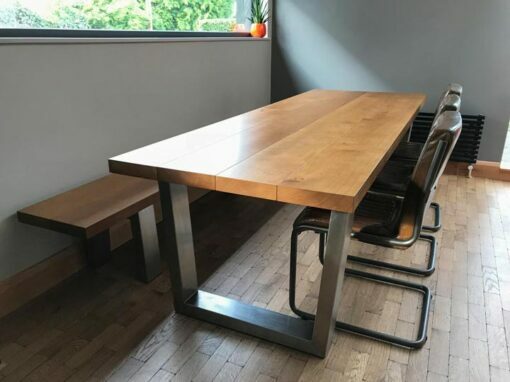 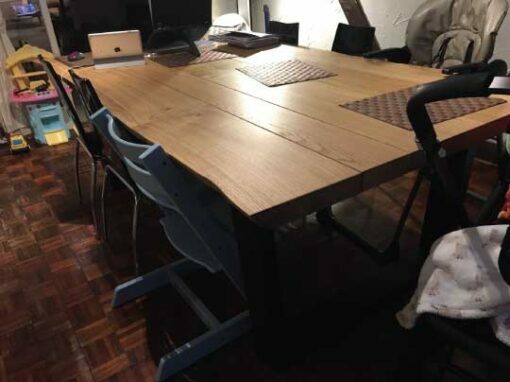 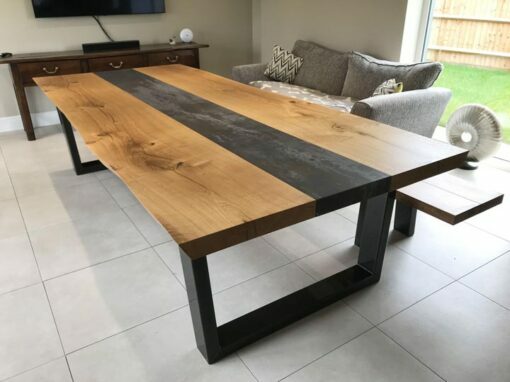 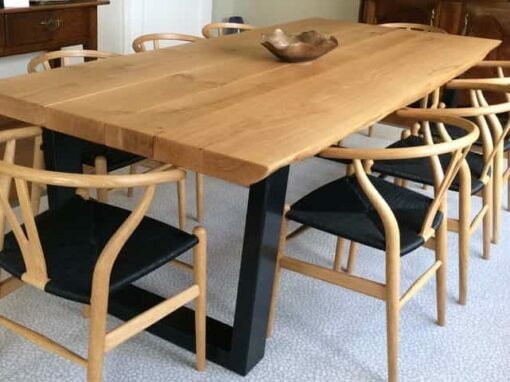 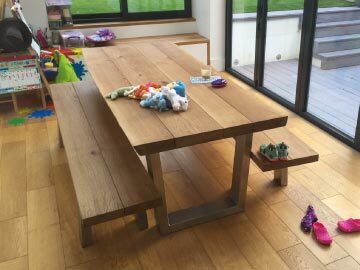 The design brief for this table was to keep it as minimalist and simple as possible, so we used a 30mm one piece top that was reinforced in the centre with hidden stainless steel straps. 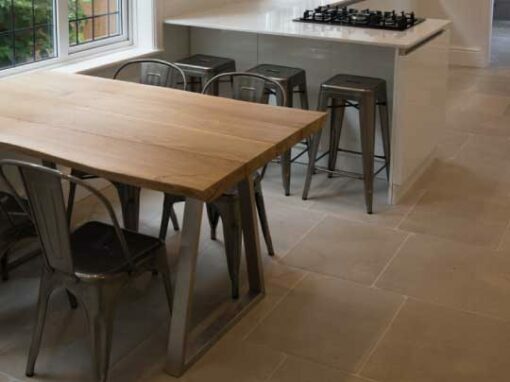 For the legs, our simple but precisely angles Strata design worked well. 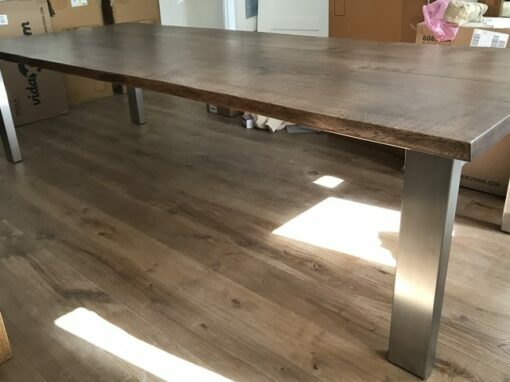 The customer was very happy with the result.